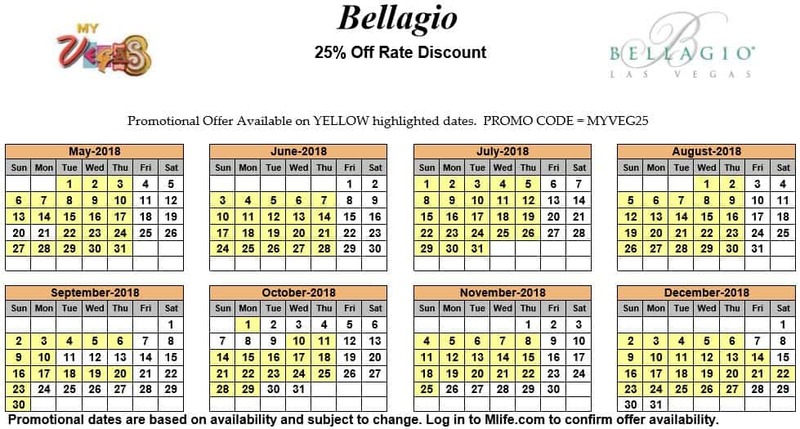 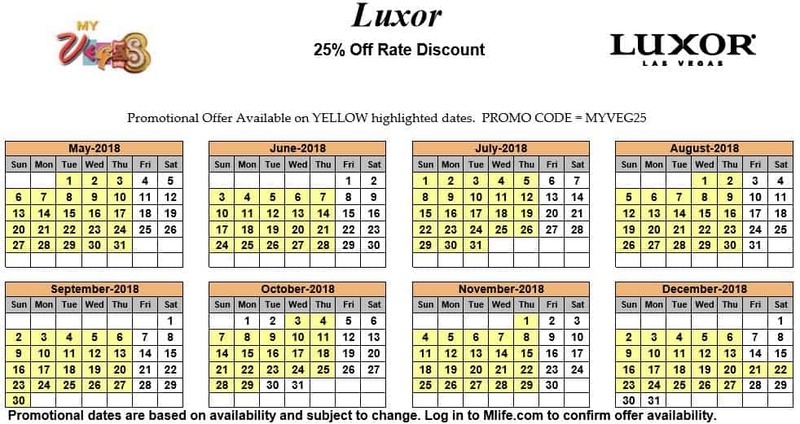 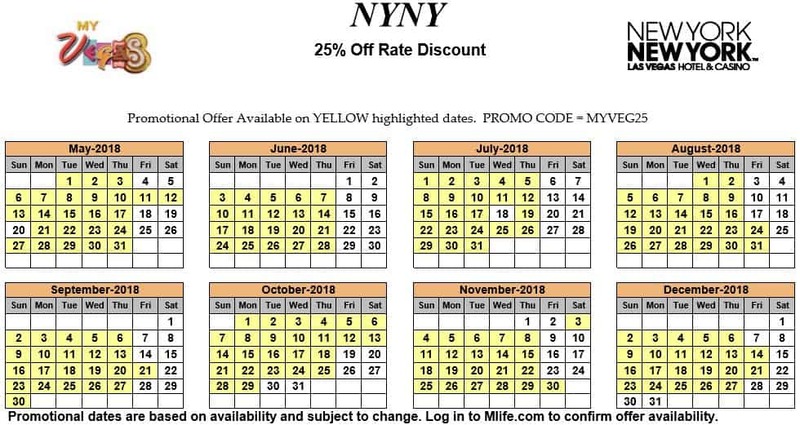 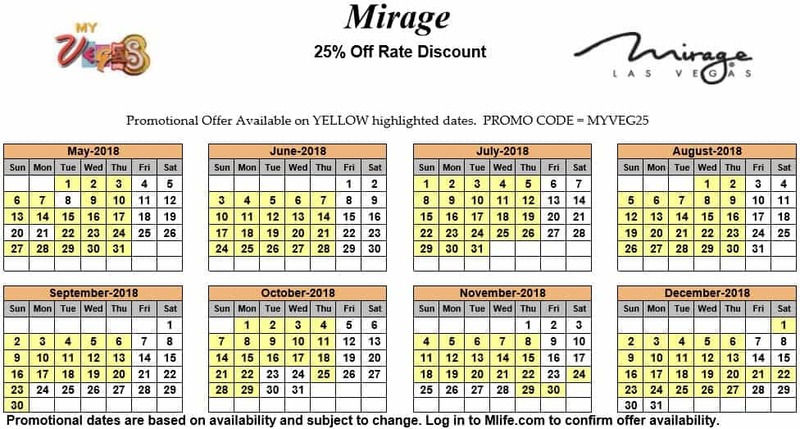 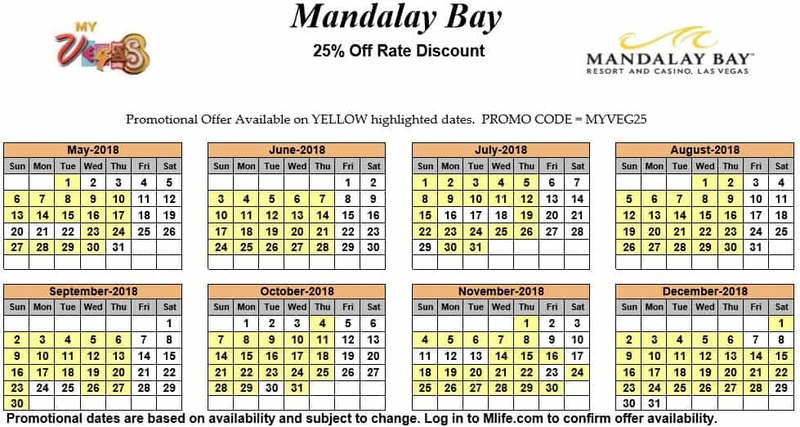 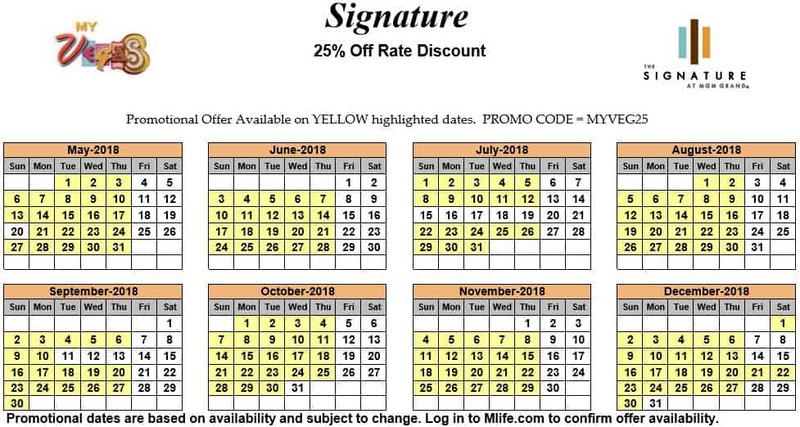 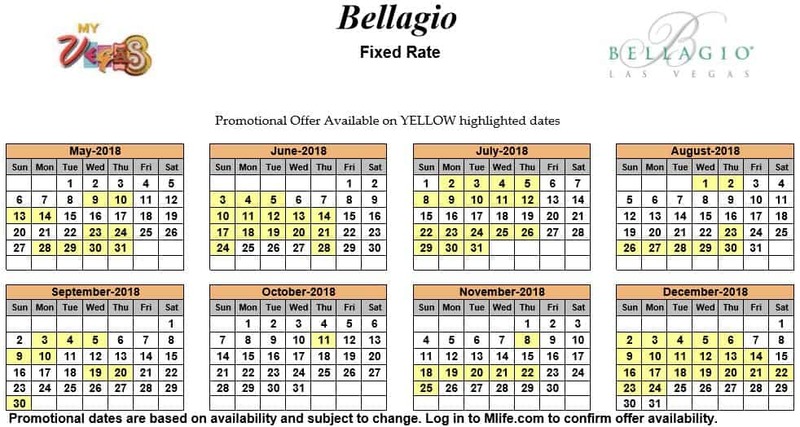 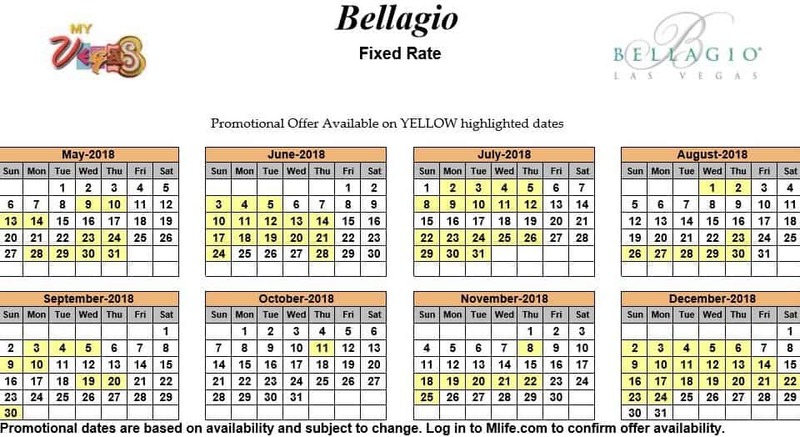 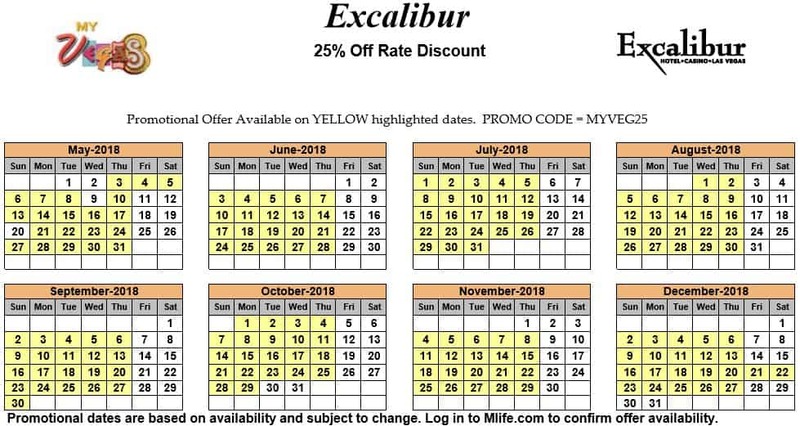 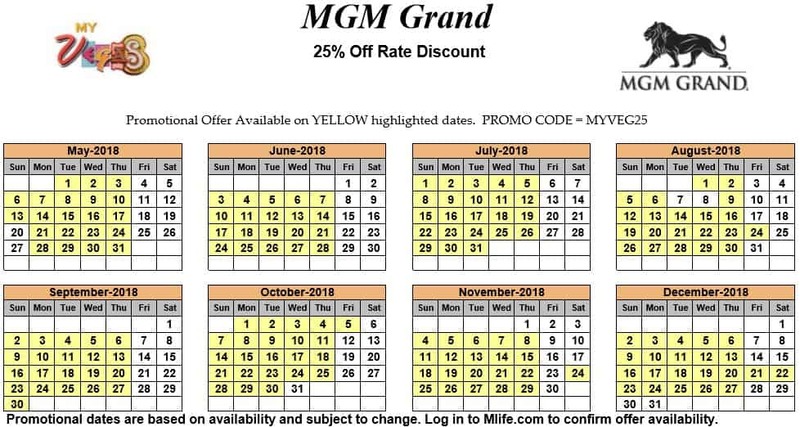 Find all the current myVEGAS 25% Off Room Rate Calendar 2018s, up to and including December 2018. 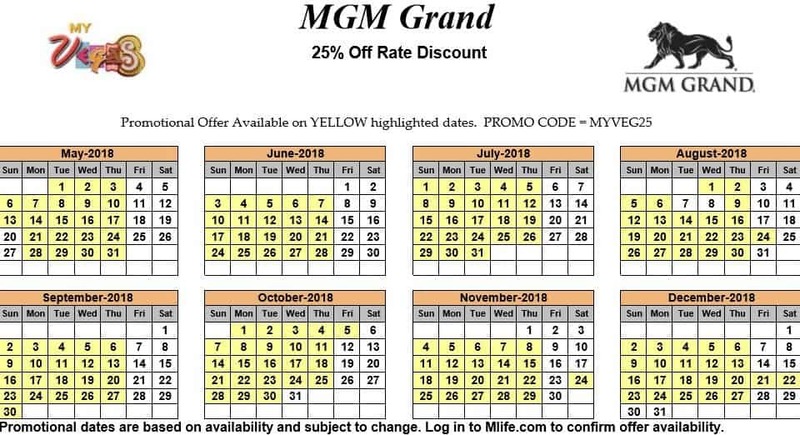 Because you can find free promo codes that are similar or better than this 25% Off, this is a waste of a myVEGAS Reward and Loyalty Points. 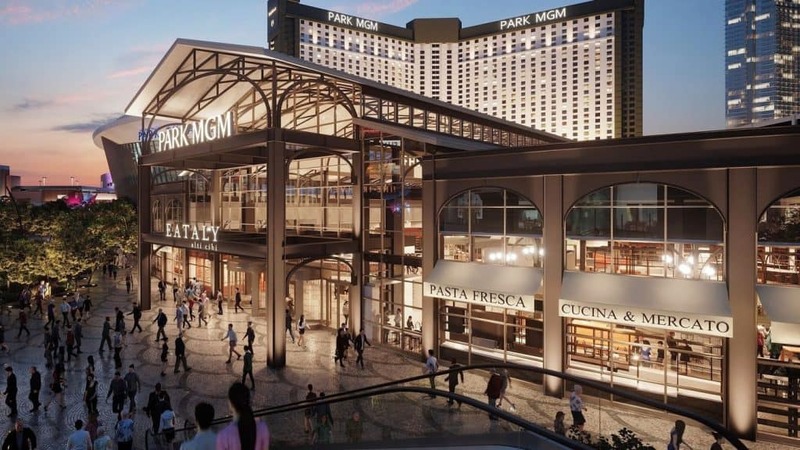 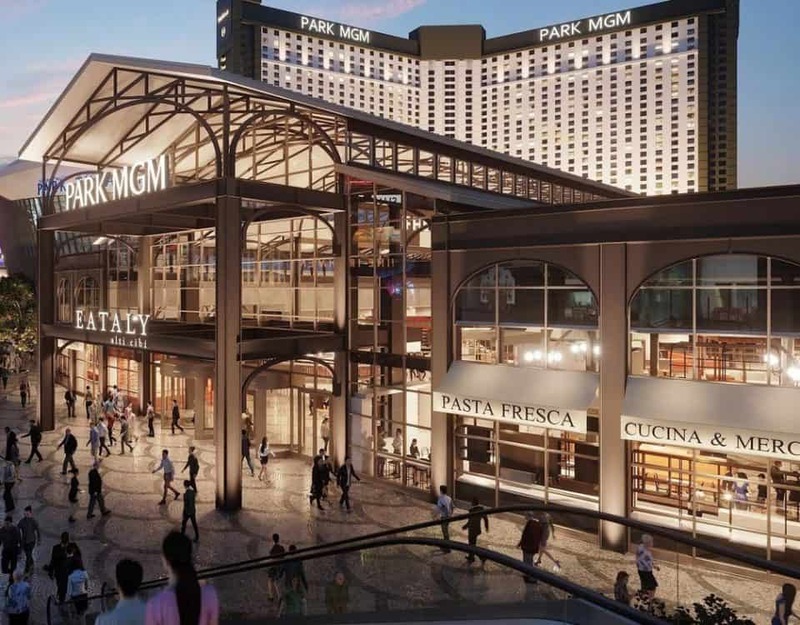 Use our Las Vegas Hotel Deals for these free promo codes.